St.Peter’s Basilica, one of the most iconic monuments of the Christian world had to be cleaned from the multiple layers of grime that had gathered on its facade. However, found beneath the layers were pigments of various colors from the 1600s, when the colours were actually designed by the Baroque master Maderno. Took by surprise, further inspections were carried out to find whether the structure had initially been coloured and if so, what the original hues were. Research revealed that it had been so indeed, and detailed analytical studies helped reconstruct the exact shades. Soon, the facade had been repainted with the same shades in a meticulous attempt to reproduce or rather restore the original beauty of the structure. There it lay in its 300-year old form. This was in 1999. 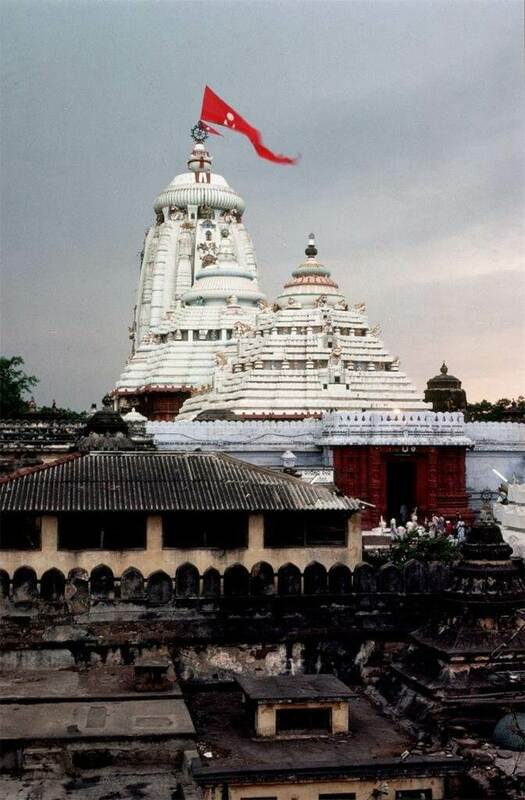 Compare that to one of the most significant structures of the Hindus, the Jagannatha Temple of Puri. More importantly, this was the grandest shrine of Kalingan architecture and the greatest storehouse of Odia culture. A much older monument, it was constructed in the 13th-century by the legendary Chodaganga Deba of the Ganga dynasty. Over the next 800 years the temple was coated with numerous thick layers of lime plaster by the latter kings to protect it from the harsh salty sea breeze. The kings, irrespective of their personal religious beliefs used to look after the maintenance of the temple’s structural integrity from time to time. All this is written in the temple’s ancient book of chronicles, the Madala Panji. Since the 1960s, incidents of stones falling off from various parts of the temple had increased. There was a looming risk of death if these pieces landed on a visitor or a servitor. In 1975, the prestigious Archaeological Survey of India took over the temple’s conservation. The ancient temple was announced a Centrally Protected Monument (CPM) in February. Amid numerous debates and cases, the ASI decided to remove the lime plaster. From 1975 to 1996, the enormously thick plaster was removed from the temple. Chemical treatment was used to treat the structure. Beneath the plaster was found splendidly carved stonework, a trademark of ancient Odia temples. However, something was amiss. This thick layer of lime plaster that covered the temple was not just a plain coat. The kings that had painstakingly taken care of the great temple weren’t ones who would leave it that way; they embedded numerous stucco figures of various deities embedded in it. So beautiful was the white tower that sailors called it the ‘white pagoda’, contrasted with the ‘black pagoda’ Konark. When the plaster was removed, these centuries-old figures were also removed; where they went nobody knows. Surely these were relics worthy of storing in a museum? I can’t seem to find them in any museum. The Niladri Vihar museum built inside the temple complex is itself in shambles. The last time I went there, the area had been razed with no sign of anything. More than two decades have passed. If not in the temple museum, where did it all go? Acquaintances and researchers tell me that they were ‘stolen’. Is it? Is it not? Why do we have no answer? There have been a lot of apprehensions about the ASI’s role. Was it right to doubt ancient methods of preservation? Was it not? Even today, some people still are of the opinion that the deplastering led to the temple’s weakening. I am not going to talk about that, nor am I bothered with it. I ask these questions purely as an Odia, as a culturally aware individual who finds these answers have turned out to be elusive for no reason. To put it very mildly, this disconcerts me. The numerous ‘bibhrata’s that I have not seen I shall not speak about; but all of the following I have seen first-hand. The hundreds of unknown Odia temples that I have seen crumbling this is not; this is the temple of Jagannatha, literally the definition of what being Odia means. Is the ‘conservation’ carried out really befitting to a temple that means so, so much? Are we doing our best? Here’s one very specific example for you to analyse yourself. The chitrakara seba or the painter service is laid out in the Madala Panji as one among the dozens of other servitors. Of the many duties of the chitrakara is to paint the Narendra Sarobara, the boathouse of the deities during the Chandana Jatra, their summertime boatrides. Each year the chitrakarawould wash it over with white plaster and paint it with natural colours, depicting amazing scenes of divine battles and fabulous episodes. This has been photographed way back in 1978 and the pictures make it look like a wonderhouse of traditional art. Now when I go to the same Narendra, I see a very different picture; it has all been painted in a bland baby pink hue. Same with the Bagha Duara, where all the old murals have faded out, never to be repainted again. 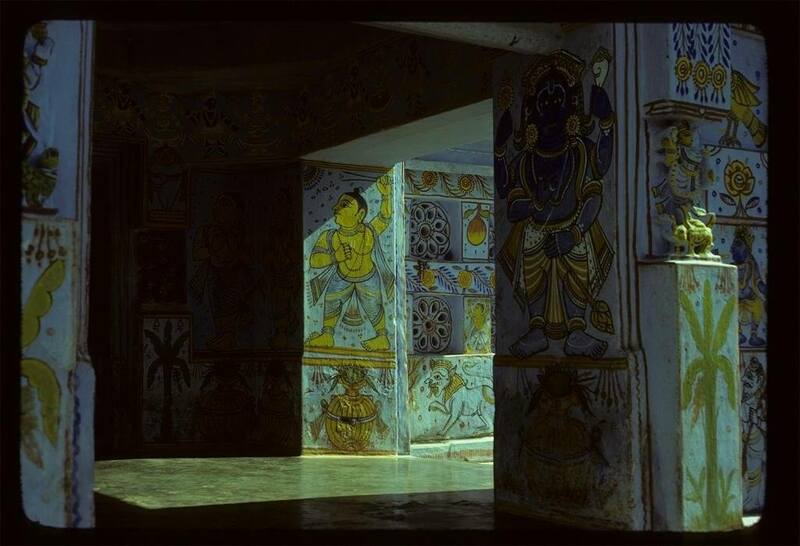 In the Bada Odia matha and Gangamata matha of Puri, walls full of intricate murals are on the verge of extinction. While Pattachitra workshops are organised every other day in the state capital to sensitise the youth and while city walls along the roads are painted in the Pattachitra style to display our culture, I find it all rather hollow considering the art isn’t being given so much as a chance in the very place where it first emerged. Another example is of the ceremonial beshas or attires of Madanamohana, Jagannatha’s representative image during the Chandana Jatra. Curious artistic attachments are made in the traditional solapitha craft of Odisha and used to adorn the idols. This year I saw that the artist had used cheap plastic flowers from the market in the work. To me it seemed like an insult to the rest of the thing. It doesn’t end there. 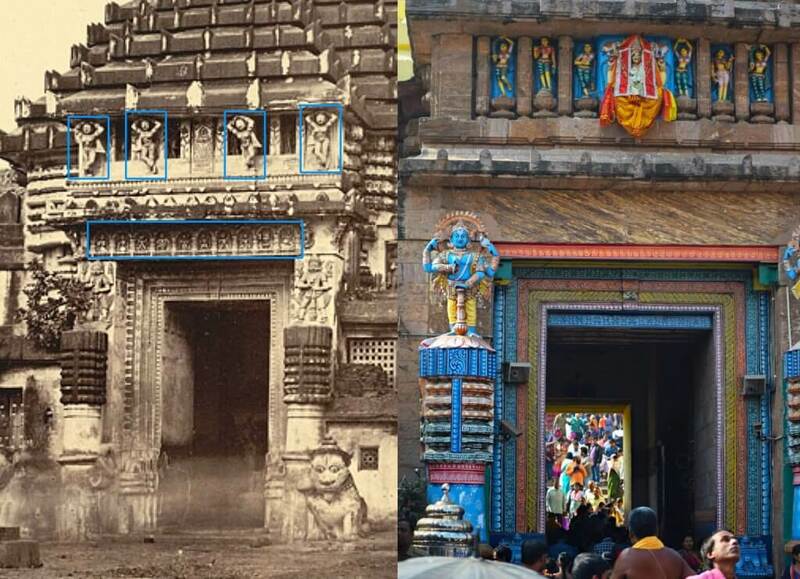 Recently, the repair work of the jagamohana of the Puri temple was completed. When I went to the place after that, I saw a false ceiling made of wooden tiles. These were mass-produced tiles of polished shiny wood with a generic carving on each of them. In that dark chamber designed specifically to draw attention to nothing but the sanctum sanctorum, these gaudy tiles were the worst detractors. Moreover, somebody had donated a new gem-studded golden crown to Mahalakshmi, the presiding goddess. The problem was that this crown was made in the north Indian style and hence wouldn’t fit in the Odia way in which the entire thing had been made. I find it sad that nobody around who had any power would speak about it; had they no aesthetic sense? Couldn’t they follow the ways of Odia jewellery, of which ample examples existed around them? Some would presume I am being too puritanical. Bear with me for some more lines. The ancient cultural institution that the Puri temple is, it has been a storehouse designed to retain elements of Odia culture that fit in harmoniously like a grand jigsaw puzzle. The point I have to make is that this is like a round peg in a square hole; it simply doesn’t belong there. Naturally, such things throw the delicate, cohesive balance into disarray. Can you see any changes? The strip of idols showing the ten abataras of Vishnu have been removed. This had been done back in 2012-13 because the panel had become weak. Also, the sakhi idols on top are no longer to be found. Perhaps they had become weak too. On even closer inspection, one shall find another set of idols behind the present idols of the doorkeepers Jaya and Bijaya. These are the original half-relief black-stone sculptures, part of the gate from the beginning. We see them in British era paintings and woodcuts and photographs from 1844 to 1869. Where have these gone? Again, we have no answer. It has been five years, but the priceless idols aren’t to be found in any museum. Who is to monitor all of this? Does conservation mean keeping things the way they are or mercilessly inflicting unnecessary change? Why don’t do away with then in that case? Why introduce these out-of-place dilutions? Does a single person in the huge institution not possess the aesthetic sense required to understand the irony? At the end, it is just easier to blame it all on the kali yuga and sleep. It seems like everyone is doing the same. The king and the artists who made this harmonious balance of food, music, art, craft, sculpture, performance, literature and ritual would surely have thought about all these miniscule details. If only one could expect a slice of that conscience in the modern world. Perhaps all of us being aware of this can bring a change. Let’s see.